We still don’t have robots that will do our housework or care for our pets (or kids), but Pepper is the first robot designed to live in homes with humans. 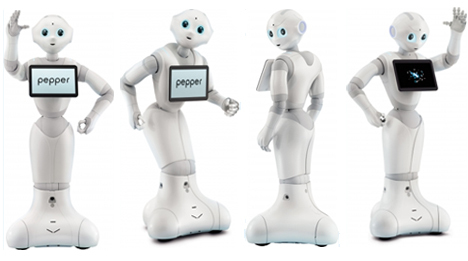 Created by Aldebaran, Pepper is currently helping customers in SoftBank Mobile phone company stores in Japan. 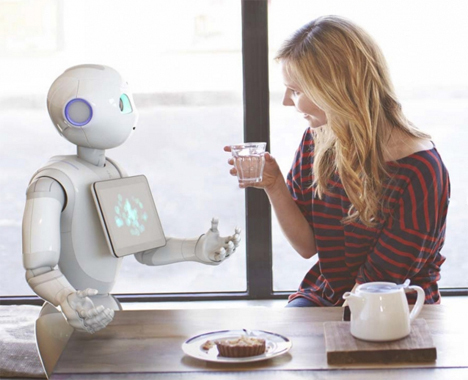 Aldebaran’s ultimate plan for Pepper, however, is to put the robot in every home as an emotion-sensing companion. The robot stands a stately four feet tall and moves in an almost creepily fluid manner. The humanoid ‘bot has a vaguely Astro Boy-like face and a screen on its chest. 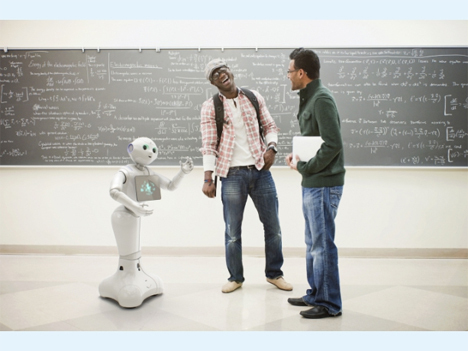 Its job as a companion robot is to detect and react to your emotions. It analyzes facial expressions, words, and body language to determine what mood you’re in and, in theory, provide an appropriate reaction to that mood. If you seem sad, Pepper may play one of your favorite songs to cheer you up. If you’re happy, Pepper would perhaps dance around or play some fun graphics on its screen. These movements and reactions are only ideas at the moment, however, because Pepper still has a long way to go before it is fully developed and ready to share our homes. In an increasingly lonely and isolated world where we can do just about everything from home, robots like Pepper might become a necessity for humans’ mental health in the future. It is meant to be a companion, reacting to our emotions and learning from us. Much like a human friend or a spouse, Pepper will learn your moods and evolve to increase your well-being. Aldebaran has started Pepper’s life as a helper in mobile phone stores, but with the cooperation of developers the robot will gain thousands of apps that will help it benefit humans’ lives. Although it may seem sad for a human to rely on a robot as a companion, robots like Pepper could one day help elderly and disabled people live on their own – not by doing the laundry for them, but by reminding them of what needs to be done and how, and alerting the proper people if trouble should arise. See more in Robotics or under Technology. June, 2014.